The August bank holiday weekend is one of the last bastions of British summer (aka the brief fortnight of consecutive warm and sunny days we get once a year), and marks the end of the year’s holiday for many of us. 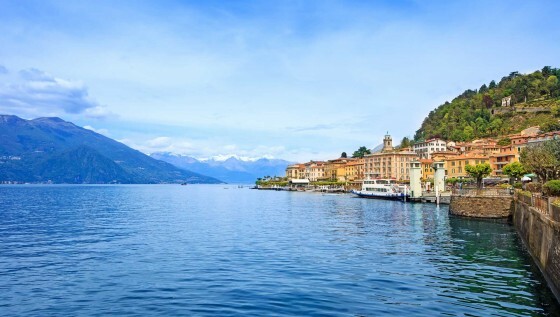 This post will showcase some of the sights you’ll see in the region where Switzerland and Italy share a border.) 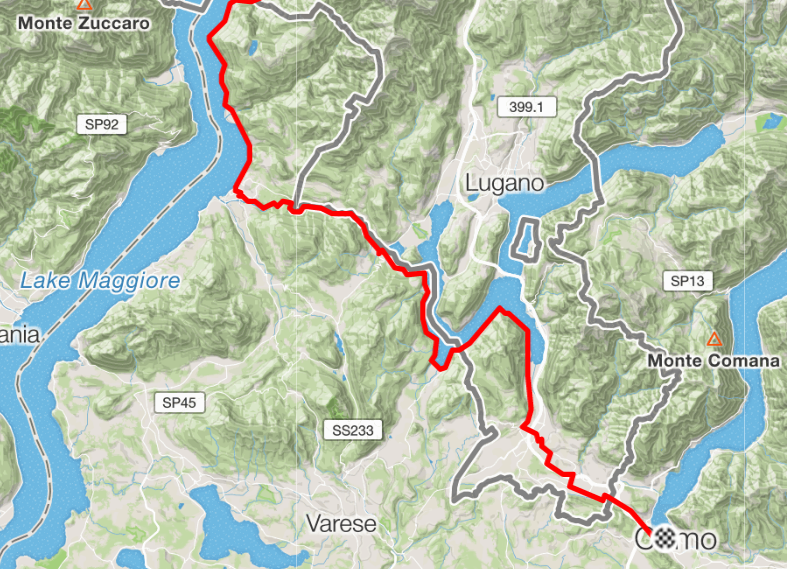 On day two of the Geneva – Milan tour you spend the afternoon climbing the formidable Nufenen pass – a 2840m Alpine mountain road with an average incline of 11% – before descending for 10 miles into the town of Airolo. 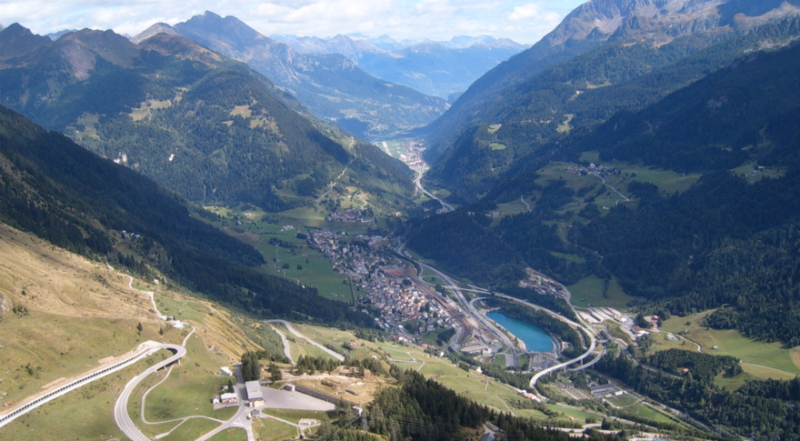 Airolo isn’t actually in Italy – just the region of Switzerland that’s near the border. Most people speak Italian by preference in this region – it’s surreal cycling through German speaking towns for most of the day but hearing fluent Italian with dinner! Speaking of which: the hotel Forni in Airolo has mountain views and a very nice dining room where we’ll share the second group dinner of the tour. By this point your legs will be starting to ache, but the accomplishment of having crossed Nufenen will ease the pain – as will the camaraderie of having dinner with people who suffered just as much. You’re guaranteed a good night’s rest too, safe in the knowledge that the biggest climb of the holiday is behind you: tomorrow morning is 30 miles completely downhill. The next morning, after rolling downhill for just shy of 30 miles, we have the first café stop. Hey, who said cycling 90 miles in a day had to be hard work?! 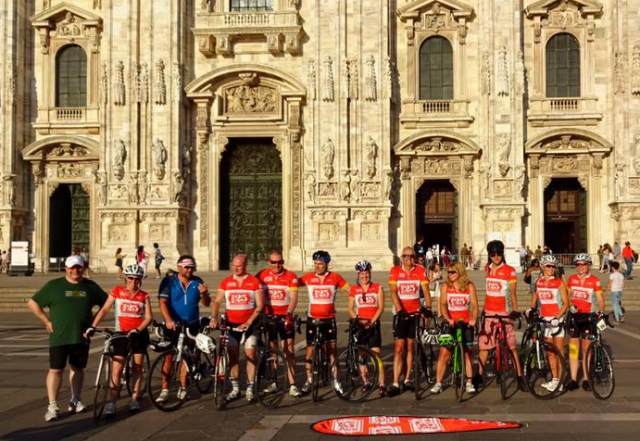 From the café stop until day’s end the group skirts the Italian border, crossing multiple times throughout the ride. After crossing some flat land at the bottom of the mountains that have been keeping us company for a while, we crest a hill (a small one, don’t worry) and see the first Italian lake of our trip. The views will take your breath away, and you’ll have plenty of time to appreciate them – starting with lunch just a mile up the road. Keep an eye out for any famous faces, too – George Clooney lives near by. 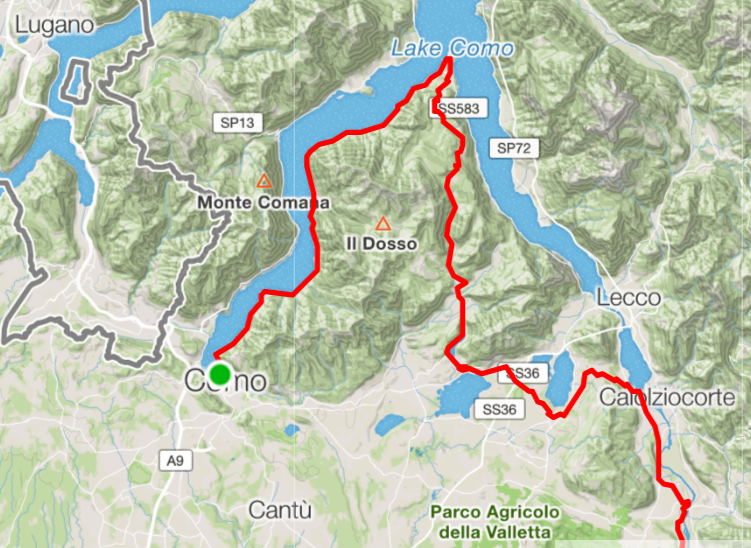 We’ll spend the morning of day 4 skirting Lake Como, a stretch of road that’s extremely popular with cycling clubs – you can expect to see Lycra-clad pelotons cruising past on both sides of the road! 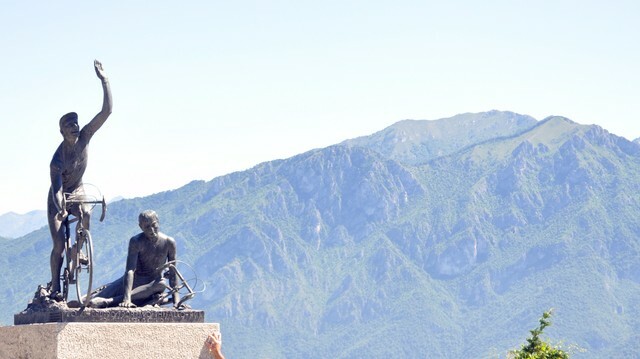 We leave the lake at the bottom of the Ghisallo del Madonna climb – a challenging climb with picturesque views, and a shrine to the patron saint of cyclists at the top. Arriving in one of the most opulent of the Italian cities is a satisfying feeling, as is sitting down to the final dinner of the tour (and a glass or two of champagne).